The Lake District lies in the county of Cumbria, in England’s north west corner. It is the largest of Britain’s National Parks, and is famous . The scenery that has inspired poets (most famously William Wordsworth) and painters. A self-guided walking tour of this magical part of England. Start at Windermere and finish at Keswick. 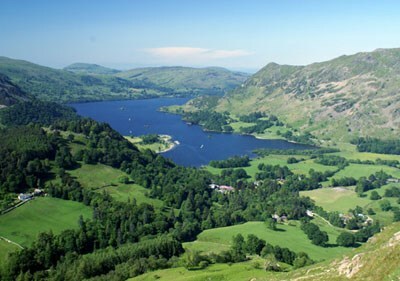 The Lake District lies in the county of Cumbria, in England’s north west corner. It is the largest of Britain’s National Parks, and is famous throughout the world for its beautiful and dramatic scenery. The mountains rise from sea level to heights of over 3000 feet (almost 1000 metres), and are intersected by lush green valleys, watered by beautiful lakes. There is a wealth of history and heritage unrivalled in so small an area. £735.00 per person based on two people sharing a room – if luggage is NOT taken to Wasdale Head. £775.00 per person based on two people sharing a room with luggage transfer to Wasdale Head. Single supplement on request – approx. £40 per night. Small hotels, inns, or luxury bed & breakfasts/guest houses. Rooms with private facilities en suite are booked every night, and dinner will normally be available at the establishment where the accommodation is situated (except in Windermere where there is a good choice of places to eat). Luggage transfers (Wasdale included if you have chosen this option). Lunches, dinners (unless dinners on 5 nights booked), sightseeing expenses, Windermere ferry, taxi journeys, luggage transfer to Wasdale Head. This walk can be either moderate or strenuous, depending on the use made of public transport. On Day Four, which is the second point to point walking day, there is no public transport available to shorten the distance: so that there is no need to walk more than 7 miles (11 kilometres), a taxi rendez-vous can be arranged at the midway point, giving participants the choice of driving or walking the second half of the day’s itinerary. This is free of charge provided it is booked in advance. Arrive Windermere. We can arrange a meeting for someone to go over the notes with you and explain the maps. 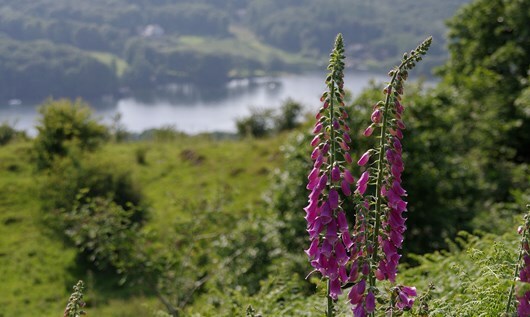 Walk to Coniston via Hawkshead, with public transport available from Hawkshead if required (7 miles/12 kms to Hawkshead 11miles/18 kms to walk the whole route, with 350 or 500 metres of height gain respectively). 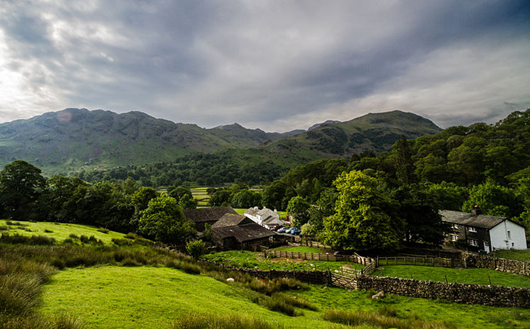 Walk to Eskdale via Seathwaite-in-Dunnerdale, where taxi rendezvous can be arranged if required (7.5 miles/13 kms to Seathwaite, 12 miles/20 kms to walk the whole route, with 600 or 800 metres respectively of height gain). Day in Eskdale. Sightseeing or walking available, including a chance to climb Scafell Pike, England’s highest mountain. Walk to Wasdale Head (6 miles or 10 kms with 250 metres of height gain). 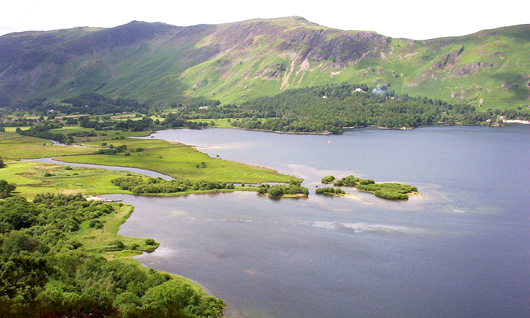 Walk to Lodore via Seatoller-in-Borrowdale, where public transport is available if required. At Lodore catch boat to Keswick. (6 miles/10 kms to Seatoller, 11 miles/18 kms to walk the whole route, with 500 or 700 metres respectively of height gain). Taxi service from Keswick to Windermere (pay locally). Windermere is accessible by train, and the journey takes as little as four hours from London, and under two hours from Manchester (airport or city centre). The nearest airport is Manchester. Liverpool’s John Lennon Airport is a similar distance to Manchester from Windermere, but public transport from it to Windermere is less convenient. It is also possible to fly into Glasgow or Edinburgh, and catch a train to Windermere with a change at Oxenholme. Small hotels, inns, or luxury bed & breakfasts/guest houses. Rooms with private facilities en suite are booked every night. · a voucher providing a free journey on Keswick launch on the final day of the tour – a great way to round off a memorable week! We can arrange a map reading session at the start of your tour: there is no charge for this, but you would need to request it in advance and arrive at your accommodation in Windermere .